What do you call it when it rains Turkeys? Foul Weather! This year has delivered many days of “foul weather”, but hopefully not the turkey type, unless it’s on your Thanksgiving table later this month. So far in 2016, we have seen over 36” of rain since April 1st. This is nearly 10” more than the annual average. Not only has Southern Minnesota been stressed by excessive amounts of rainfall, we are trudging through a very stressful time in the agricultural industry. Many farmers have been riding what has felt like a roller coaster this year. With planting, replanting, hail, resistant weeds, commodity pricing, and excess rain, it sure has been an eventful season. Even after all the storms, most of Minnesota is still left with what is being reported as a “record crop”, which is simply remarkable! As this farming season gets wrapped up, most producers are already looking ahead to the next one. The dinner table talk shifts from the old to the new, and producers start making some very important decisions which could impact their future. A few of the decisions being made this time of year are about seed selection and early pay discounts, the impact of fall fertilizer vs. spring fertilizer, grain marketing and carry options, and what seems to be the “Big One” this year – land rent negotiations. As the year comes to an end, there are many things that need to happen and it may seem like a stressful whirlwind. Producers and farm families alike all have times when they may feel hopeless and the numbers just don’t seem to work. This is where your networks and relationships are essential. Open communication with your input suppliers, your bankers, support systems, and friends will prove to be beneficial. Growing up on a small dairy farm, it seemed like my father was constantly working with his bankers and Farm Business Manager to figure out what decisions were best. I learned back then that having a strong network and relationships were very necessary, especially in the agricultural industry. These kinds of networks and relationships can also help discover efficiencies that could benefit your farm. With the technology and complexities in the industry, it’s hard to know everything and what could possibly be missing. Your neighbors, your friends, or someone in your network might have an idea how to help. Each farmer in Minnesota operates just a bit differently, but most have the same objective: to plant and harvest a plentiful crop along with feeding their families. This sounds simple enough, but it’s easier said than done, especially in recent years. Inflation in input pricing, decreases in commodity prices, as well as family living expectations are just a few of the things that complicate the simple objective. Although talking farming is usually a natural thing for most producers, there could be some uncomfortable conversations that will need to happen. There are a few things that producers and farm families can do ahead of time to prepare for the coming year and hopefully avoid some of those uncomfortable situations. Farm families need to talk about cost control, budgeting, and presenting a realistic cash flow projection for the coming year. What will it take financially to get the crop in the field and carry you through until the grain is sold? What are your goals throughout the year as a family and what will it take financially to achieve those goals. Are the goals even achievable under the current situations or will there need to be an adjustment to all expenses, including family living? Another focus point could be on your Working Capital position. Will you be able to meet all of your financial obligations for the coming year or do you need to restructure your debt? These are just a few of the questions that producers are most likely already thinking about. Calculate everything out on paper, see how it looks, and consider changes that might need to be made. Open communication with your banker this time of year is essential and could be a game changer. National Ag Day is March 18 and the American Bankers Association (ABA) has provided some financial tips to the next generation of America’s farmers and ranchers. Unlike established farmers, young and beginning farmers may need to learn the basics of creating business relationships and what goes into making financial decisions. Sweat the small stuff. Keeping accurate and detailed records encourages both short-term and long-term financial planning. Not only does it help you stay organized and make better management decisions, it makes it easier for your lender to assess your financial situation. Develop a business and marketing plan. You will work smarter and improve your odds when you focus and organize your goals. Evaluate your capital investments for profitability and payback. Keeping track of how long it will take to generate enough cash flows from a capital investment to justify the investment will help you make better financial decisions for the future. Know your costs. When you consider your cost of living and expenditures, including depreciation and family living, you’ll have a better understanding of your overall financial situation. Your local banker can provide guidelines to monitor your financial ratios. Decide on what type of operation you want to run. New farmers and ranchers should either be very efficient, low-cost producers or should add value that someone else will pay for. Consider supplementing your operation with off-farm income until your operation is large enough to employ you profitably full-time. Consider renting farm equipment or custom hiring instead of purchasing. Shop around. Getting price quotes on supplies such as feed, fertilizer and fuel can uncover lower cost sources. Your research might get you a discount from a local, preferred supplier that gives excellent service. Make sure product quality is part of your evaluation. Ask your banker about how to get access to state and federal credit enhancement programs. Some banks also offer special benefits for first-time schedule F tax filers. When in doubt, ask for help and guidance from someone you trust–an experienced farmer or rancher, a trusted adviser or your local banker. You don’t have to make these important financial decisions alone. 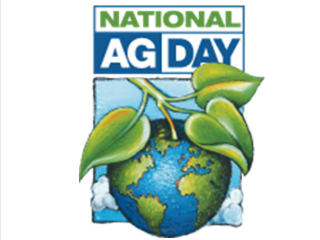 National Ag Day, now in its 42nd year, is organized by the Agriculture Council of America. There have literally been hundreds of farm program information meetings held in the Upper Midwest in recent months, as well print and online articles, spreadsheets, etc., on enrollment in the new farm program. However, even with all the information available to farm operators and landowners, there are still some recurring questions that seem to keep coming up. Question #1–what are the dates and timelines for enrollment in the new farm program? Step #1–Now until February 27, 2015: Landowners make final decisions on updating FSA payment yields, and reallocating crop base acres on each FSA farm unit. Step #2–Now until March 31, 2015: Producers complete the farm program choice on each farm unit, and potentially on each eligible crop. Farm program choices include the Price Loss Coverage (PLC), Agricultural Risk Coverage-County (ARC-CO), or Agricultural Risk Coverage-Individual Coverage (ARC-IC) programs. Step #3–Mid-April to Summer 2015: Producers enroll in the 2014 and 2015 farm program simultaneously. Even though the farm program choice (listed earlier) is for five years (2014-2018), producers will still be required to make annual enrollment into the farm program at local FSA offices. Question #2 –who makes the final enrollment choice for the new farm program? All decisions at local FSA offices on updating FSA program yields and reallocating crop base acres for each FSA farm unit require at least one landowner signature. If a producer is an owner/operator, they could make the decision on that FSA farm unit. However, it is advisable to communicate with all landowners on a FSA farm unit regarding the base acre and payment-yield decision that is chosen, since this decision will be in place for five years (2014-2018). Producers will make the final, 5-year farm program choice between PLC, ARC-CO, and ARC-IC for the 2014-2018 crop years on each FSA farm unit. Landowners with crop share rental agreements are considered producers by FSA and must agree with the farm program choice on a farm unit. Landlords with cash rental agreements will not be required to sign-off on the farm program decision. In cases, where there is a switch of producers from 2014 to 2015, the producer listed at the FSA office on the farm unit at the time of farm program sign-up would make the program choice. Question #3–what if no choice is made for the updating payment yields, base-acre reallocation, or the farm program option? If no choice is made for updating FSA payment yields or base acre reallocation, the existing crop-base acres and CC payment yields on a FSA farm unit, as of 2013, will remain in place for 2014-2018. If no farm program choice is made by the sign-up deadline, the farm unit will be enrolled in the PLC program for 2015-2018, and there will be no farm program payments for the 2014 crop year. Depending on the crop, farm location, and farm program choice, this could be a very costly mistake. Question #4–why is it important to update FSA payment yields if I am enrolling in ARC-CO? FSA payment yields for all eligible crops will be used for payment calculations for the new PLC program, but not for the ARC-CO or ARC-IC program options. Even if plans are to choose the ARC-CO or ARC-IC program option, it may still be a wise choice to update the FSA program yields for eligible program crops on FSA farm units where there is an advantage, as these updated yields may be carried forward for future farm programs beyond 2018. The opportunity to update FSA payment yields has not been made available since 2002, and if the program yields were not updated in 2002 (counter-cyclical program), the current payment yields are the “direct payment yields,” which date back to the early 1980s, and may be even lower than the current county “plug yields” for some crops. Question #5–when and why are “plug yields” used? A substitute yield or “plug yield” (equal to 75 percent of the county average yield between 2008-2012) will be used in any year that the actual farm yield for a given crop falls below “plug-yield” level, as well as in any year in which a crop was raised, when there is no yield data available. The county “plug yields” are available from the USDA FSA farm program website, and automatically are entered in to the official FSA payment yield update spreadsheet. Question #6–what documentation is required to update FSA payment yields? The FSA form titled: “Price Loss Coverage (PLC) Yield Worksheet” (CCC-859) is used as a worksheet for potentially updating FSA payment yields. On Form CCC-859, the crop yield for each year (2008-2012) that a particular eligible crop was raised is listed. Only the years that the crop was raised on a particular farm unit are considered for the yield update. For example, if corn was raised in only three of the years, then those years are used in calculations. If crop insurance (RMA) data is from more than one FSA farm unit, the data will need to be prorated accordingly for the CCC-859 forms. FSA offices will not be verifying the yield data on Form CCC-859. However, the yields reported on that Form will be subject to FSA spot checks at a later date. Acceptable records for yield verification during “spot checks” will include RMA data that is used for crop insurance APH calculations, production evidence for grain sold or placed in commercial storage, on-farm grain storage records, livestock feeding records, and/or FSA loan records. Question #7–why is base acre reallocation important? All farm program payments for the new PLC and ARC-CO programs will be calculated on crop base acres, rather than on a year-to-year planted crop-acre basis. The last time that crop base acres could be updated was in 2002, and it is possible that the updated crop base acres could continue beyond the current farm program. The choice is to either keep the existing crop base acres (as of 2013), or to update crop base acres to the ratio of average of planted crop acres on a FSA farm unit from 2009-2012. Total reallocated crop base acres for 2014-2018 cannot exceed the total crop-base acres that existed in 2013 farm program. Landowners and producers should have received a listing of existing crop base acres, and the reported planted acres for 2009-2012 from the FSA in late July or early August. Prevented-planted acres that were properly reported will count as planted acres for base acre reallocation. Question #8–do I always want to reallocate my crop base acres? Not necessarily. In some cases, the existing crop base acres may be more desirable than the reallocated base acres, such as in cases where the existing crop base has more corn base acres than the reallocated crop base. Or possibly, there may be some higher value commodity crops that have a higher likelihood of farm program payments in the next five years (2014-2018), which may be eliminated through base acre reallocation. Remember: Farm program payments for PLC and ARC-CO are determined by base acres, not planted acres, and you do not have to raise a crop in a given year in order to be eligible for potential farm program payments. 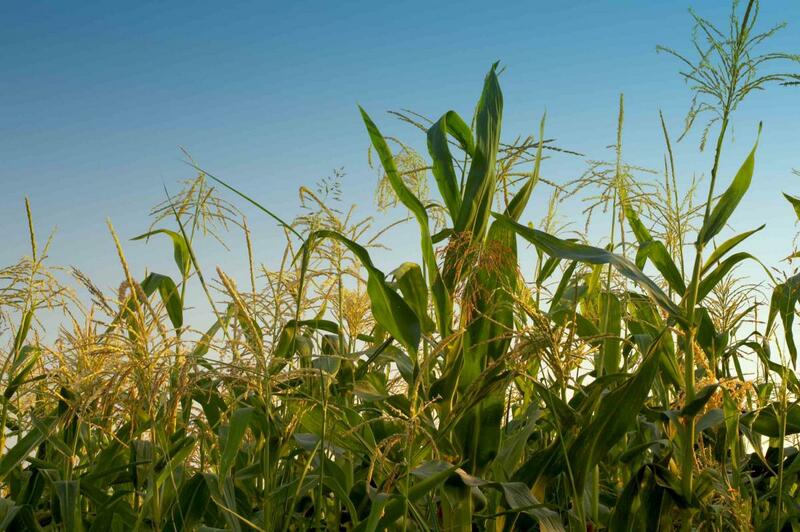 Question #9–is it advisable to maximize my corn base acres in all situations? Many Midwest farm operators planted higher levels corn from 2009-2012, so there may be an opportunity to increase corn base acres on some FSA farm units. In most areas of the Midwest, corn base acres tend to offer higher maximum payment potential, and greater payment likelihood (in 2014, and possibly in 2015) than other crops. However, the program payment levels and likelihood of payments may be different in other areas of the U.S., which have lower corn yield levels, or may have other alternative program crops to consider. Question #10–how are MYA prices calculated? The “market-year average” (MYA) price for a given crop year is used to calculate any potential payments for the PLC, ARC-CO, and ARC-IC programs. The historical MYA prices are also used to determine the benchmark revenues for both the ARC-CO and ARC-IC program options. The MYA price for a given commodity is not based on the Chicago Board of Trade commodity prices, or any specific local or terminal grain prices. The MYA price is the 12-month national average price for a commodity, based on the average market price received at the first point of sale by farm operators across the U.S. 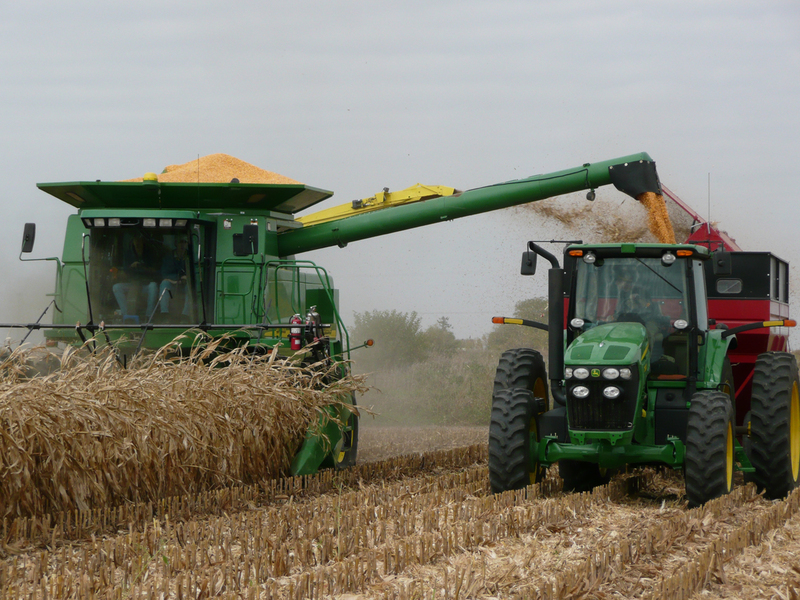 The USDA National Agricultural Statistics Service collects grain sales data on a monthly basis, which is then weighted at the end of the year, based on the volume of bushels sold in each month. The 12-month marketing year for corn and soybeans begins on September 1 in the year that a crop is harvested, and continues until August 31 the following year. For wheat, oats, barley, and small grain crops, the 12-month marketing year begins on June 1 in the year of harvest, and continues until May 31 the following year. Question #11–where can I find updated MYA price information? USDA publishes monthly and season average estimated market prices for various commodities, which are available on the FSA farm program website. These average prices are also updated each month in the USDA Supply and Demand Report, which is usually released around the middle of each month. Some universities also update projected MYA prices on a monthly basis for selected crops. Kansas State University offers one of the best monthly updates of MYA prices for corn, soybeans, and wheat. The web site is at: www.agmanager.info/crops/insurance/risk_mgt. Question #12–why do some experts recommend ARC-CO and others recommend PLC? There are several reasons for the difference in recommendations between ARC-CO and PLC for corn and soybeans. The biggest reason is probably future MYA price expectations, along with declining payment potential in future years with ARC-CO in scenarios with lower price expectations. If the average MYA price for corn from 2015-2018 is consistently below about $3.20 per bushel, total PLC payments for 2014-2018 for many Midwest corn producers could likely exceed total ARC-CO payments. The situation is similar with soybeans, if the MYA price from 2015-2018 is below about $7.20 per bushel. However, one must remember that there are no PLC payments for corn, if the MYA price is $3.70 per bushel or higher, or for soybeans, if the MYA price is $8.40 per bushel or higher. In most counties in the southern two-thirds of Minnesota, and adjoining areas of other states, the 2014 ARC-CO payment for corn will be near the maximum payment level for the county ($60-$80 per corn-base acre in many counties), if the 2014 average county yield was at or below the benchmark county yield. There is also very good 2014 ARC-CO payment potential for soybeans in most Minnesota counties. The ARC-CO payment potential for corn and soybeans in 2014 may not be as favorable in some areas of Iowa, Illinois, Indiana, etc. that experienced extremely high county average corn and soybean yields in 2014. Payment potential with ARC-CO for both corn and soybeans for the 2015 crop year is also very good, due to the fact that the 2014 benchmark MYA prices of $5.29 per bushel for corn and $12.27 per bushel for soybeans will likely be in place again in 2015. Question #13–what are situations where ARC-IC might work? Producers that select the ARC-IC program option must include all eligible farm program crops on a FSA farm unit (2014-2018), with no option for either the PLC or ARC-CO programs on specific crops. The ARC-IC program operates very similar to the ARC-CO program, but is based on farm-level crop yields, rather than county-average yields. The biggest difference is potential payments in the ARC-IC program are made on only 65 percent of crop base acres, as compared to 85 percent of base acres with the ARC-CO program. Due to this difference, and different calculation methods with ARC-IC than ARC-CO, average farm-level yields probably need to be 25-30 percent higher than comparable ARC-CO yields to consider ARC-IC enrollment. Question #14–what are the payment limits for the new farm program? The payment limit for the new farm program is $125,000 per eligible individual for all proceeds from the PLC, ARC-CO, and ARC-IC programs, as well as from LDPs or gains on CCC loans. If there is more than one eligible payment entity for farm program payments, then the payment limit would increase accordingly. For example, if a husband and wife are both eligible, they would have a total payment limit of $250,000. Excluding LDPs and CCC loan gains, it would require approximately 2,500 crop base acres to reach the $125,000 payment limit at an average farm program payment level of $50 per base acre, and about 1,667 base acres to reach the limit at an average payment level of $75 per base acre. Question #15–What are some strategies to address payment limit concerns? Some corn and soybean producers with payment limit concerns are varying their farm program choices a bit more. They are putting some farms in ARC-CO to optimize payment potential for 2014 and 2015, when ARC-CO payments are likely to be higher, and putting some farms in PLC, in order to have more price protection in later years (2016-2018). This allows them to capture some of the benefits of both the ARC-CO program and PLC program, without sacrificing significant payment potential. Also, with PLC, farm operators can opt for the supplemental crop option (SCO) (crop insurance alternative), which is not subject to farm program payment limits. Enrollment in the SCO insurance option is done an annual basis through crop insurance agents. Question #16 — What are the best resources for farm program information? The USDA Farm Service Agency (FSA) has created a web site with up-to-date information and resources on base acre reallocation, updating payment yields, “plug yields”, ARC-CO yields, updated MYS prices, etc. The web site is at: www.fsa.usda.gov/arc-plc. The “Agricultural Act of 2014,” commonly called the Farm Bill, changes many programs and rules affecting our farmers. The Independent Community Bankers of Minnesota has partnered with FSA (Farm Service Agency) and the University of Minnesota Extension to hold area meetings on the 2014 Farm Bill Dairy Margin Protection Program. They will explore your program options and show you an available online Dairy Decision Tool that will help you make the right choice. Citizens Bank Minnesota will sponsor a meeting in New Ulm at the Holiday Inn on Monday, November 3rd from 1:00 – 3:00 p.m.
We hope the location and time of this meeting allows you to attend and receive this valuable information. If you are unable to attend this meeting, please see locations and dates of the remaining meetings set for this year below. A future meeting is being planned to address the Crop ARC (Agriculture Risk Coverage) and PLC (Price Loss Coverage). Information on future meetings will be forthcoming. Please don’t hesitate to contact us at 507-354-3165 or 1-800-549-0194 with further questions. 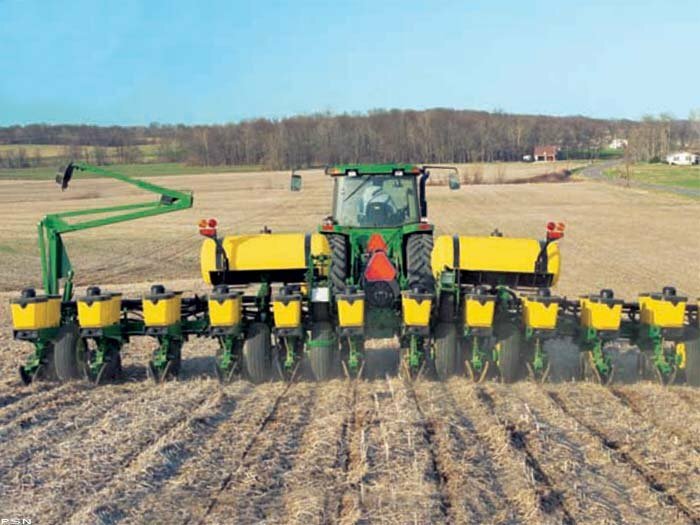 It is spring and soon farmers will be racking the long hours to get their crops planted. For all of the producers who carry Multiple Peril Crop Insurance (MPCI) remember that your spring planted crops have an acreage reporting date of not later than July 15th in our area. This may seem like a long way off but a combination of a later spring and busy schedules will bring up this deadline sooner than you think. I recommend that within a few days of when you finish planting your final acre you should go in to your FSA office and certify your planted acres of each crop. The same day that you certify with FSA please stop and see your crop insurance agent to also certify your acres for your MPCI coverage. When you meet with your agent you will need to have both your FSA field maps and your 578 forms. By going to FSA first you will have accurate acres and planting dates for your MPCI acreage report which will save you a lot of time in the long run. A benefit of getting your acres reported as soon as you can in the season is that the Insurance Provider can send your Schedule of Insurance to you much earlier. This means you will have accurate information regarding your bushel and dollar coverage as well as your final premium. Having this information early in the summer undoubtedly will help you with your marketing decisions. Have a safe and productive spring.